If you’re going to be buying beautiful silver jewelry for someone special in your life, you’ll want to make sure that it is .925 sterling silver – the silver that professional jewelers considered to be the “real deal”. Tremendously more valuable than jewelry that is silver plated or jewelry that is made from stainless steel, you want to make sure that you are always purchasing sterling silver jewelry that has a .925 sterling silver rating. Anything else is subpar! While “pure” silver (from a metallurgy standpoint, anyway) is anything above 99% silver, jewelry cannot be made from silver materials of this purity level. They end up being too soft, too brittle, and can become damaged far too easily. Sure, if you’re purchasing an ounce of silver or a silver bullion block you’ll want to make sure that it is just as close to 100% silver as humanly possible, but when you’re looking to purchase beautiful silver jewelry you’ll want to be sure that you’re getting your hands on something that is 92.5% pure silver (with the rest of its metallurgical make up containing copper or an alloy material). It sounds a little bit counterintuitive to look for jewelry made from silver that isn’t of the highest purity level, for sure. But professional jewelers will tell you that anyone pumping up silver levels that are purer than 92.5% (jewelry) are nothing more than snake oil salespeople and they should be avoided just as much as those peddling silver plated jewelry or stainless steel. How do I know whether or not my beautiful silver jewelry is legit? We will tell you right out of the gate that it can be a lot more challenging than most people realize to determine whether or not your beautiful silver jewelry is the real deal or if it is something less than legitimate. Unless you’re dealing with jewelry that is so obviously fake and phony you’re going to have to do a little bit of digging into the legitimacy of your beautiful silver jewelry collection, focusing on the tips and tricks we include below to really help you better understand exactly what kind of jewelry you have your hands on. Right out of the gate, you’ll want to try and touch a magnet to the silver jewelry you are testing. Precious metals – like silver, gold, and platinum – aren’t magnetic and should not stick to any maintenance whatsoever for any reason whatsoever. These metals are described as “nonferrous”, and if there’s even just a hint or a wiggle of magnetic attraction in those pieces of jewelry you’ll know that you have something that isn’t exactly the “real deal”. Most of the time, you’ll notice a lot of magnetic activity with stainless steel jewelry pieces that have been polished to the highest possible degree to look a lot like silver. Just know that if it sticks to a magnet or even shows any hint of being attracted to the magnet, the silver isn’t anywhere near as pure as you are probably hoping it would be. The overwhelming majority of legitimate full silver jewelry pieces are going to have some kind of stamp or some kind of mark on them that tell you exactly how pure they are. Any marks that do not include those designations (particularly purity level designations) simply cannot and should not be trusted under any circumstances. From time to time you will get less than ethical jewelry manufacturers that print “pure silver” or nearly 100% silver” on their jewelry, but unless they have the designation that highlights the .925 sterling silver qualities you’re likely dealing with something that is anything but legitimate. 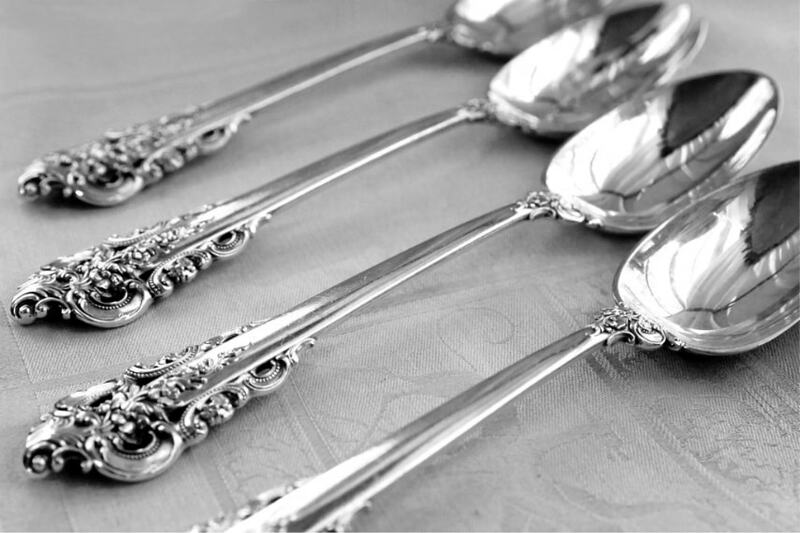 What kind of tarnish does your sterling silver jewelry have? It might sound a little bit crazy at first, but one of the best ways to know whether or not your beautiful silver jewelry is legitimate and has a purity rating of 925 is to look at the amount of tarnishing it has built up over time – especially if it hasn’t been cleaned in a little while. Silver is a metal that oxidizes just as soon as it is exposed to oxygen, and sometimes you can rub a small part of the jewelry with a clean cotton cloth to create this oxidization. If after rubbing your jewelry small black marks start to show up you’ll know that your beautiful silver jewelry is legit, and you can use a quality jewelry cleaner to eliminate that tarnishing and restore your silver back to its brilliant and beautiful finish with no difficulty whatsoever. As long as you are shopping with legitimate jewelers you know you can trust, the price you’ll pay for .925 sterling silver jewelry will always be a quality indicator you can trust. Obviously, however, less than legitimate and less than ethical jewelers looking to pull one over on their customers are always going to mark up the prices of stainless steel jewelry and silver plated jewelry – so this kind of tip isn’t always one that you can depend on. As a general rule, it’s always a smart move to purchase your jewelry – especially important beautiful silver jewelry pieces – from jewelers you know you aren’t going to be swindled by. Sure, you’re likely going to pay a little bit more upfront, but the results are always going to be a lot better and you won’t have to worry about whether or not the price you paid for your silver jewelry was actually worthwhile. At the end of the day, so long as you pay close attention to the inside information we’ve shared above you shouldn’t have anything to worry about their silver jewelry can last a lifetime (and then some) with just a little bit of care. It always has that traditional and timeless look most folks are after when it comes to high quality jewelry like this.